Lasers are very sensitive to titanium dioxides which can have a reverse effect on permanent makeup. First and foremost, a lot of lip colors and brow colors contain titanium dioxide. White titanium dioxide is added to pigments to lighten almost any color . However, when a laser hits titanium dioxide it can have a reverse effect by oxidizing the color therefore darkening it, which is not what we want to happen if we are there to remove it. A lot of times the tattoo artists even with regular tattoos will ad this to light greens and light blues, thus making the tattoo more difficult to remove with laser tattoo removal. So for, with Laser Tattoo Removal we recommend using it on strictly iron oxide pigments. At Lasting Looks Clinic in Etobicoke Toronto we often recommend doing a patch test just to be sure. 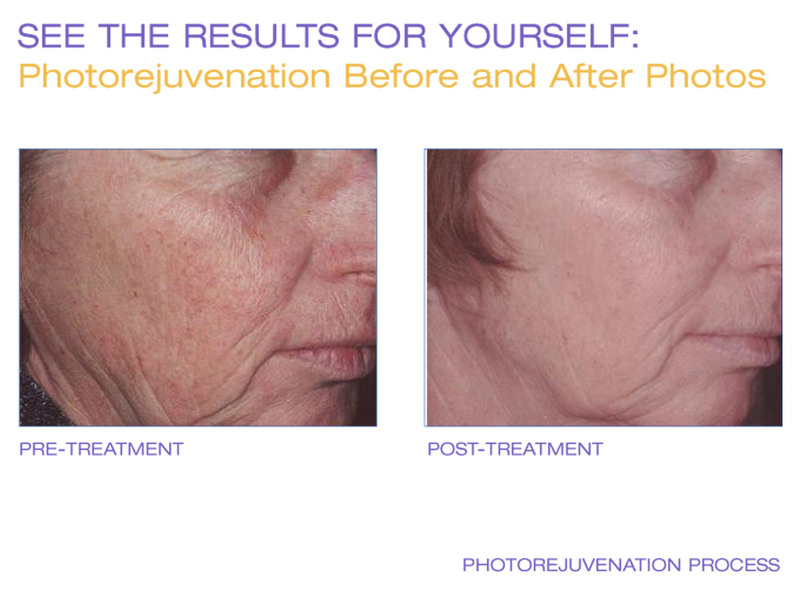 Stay tuned for other ways on removing permanent makeup! 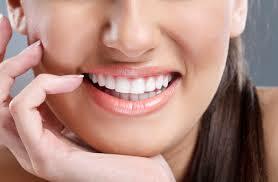 Botox Toronto-How to Improve Your Smile! Are you happy with your smile? Smile too gummy? Do you have upper lip lines? You can change that with Botox. Yes Botox! Botox is a neuro-modulator that can be injected into various areas of the face to help ease and soften lines and wrinkles. 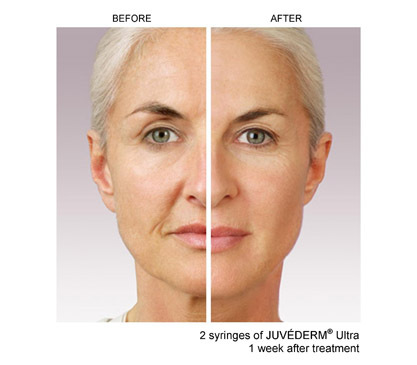 When it is injected into the area above the upper lip Botox can ease the lines that pull or pucker around the mouth and stop you from pursing and drawing the lips inward. Botox can also be injected in such a way that we can relax and lower the upper lip from rising higher than the gum line, which gives you a gummy smile. When you reach the age of 35 or so the support system on your face begins to lose its tone. Dermatologists tell us sagging cannot be corrected with creams or lotions alone. 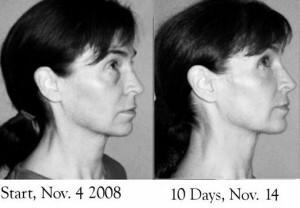 The Facial Flex device has been proven effective in clinical studies. This product evolved from a device originally developed for the rehabilitation of facial burn patients. The device is lightweight and easy to use. The replaceable bands maintain a constant outward pressure and provides resistance to make the exercise effective. Exercising just two minutes a day can produce great results and a natural way to receive a non-surgical face lift.